Social Futures provides a range of services to support the Community Services Sector. We provide training for carers of people living with dementia and education programs to help improve the delivery of aged care services within our region. We also produce the monthly Ageing and Disability Digest with a wealth of knowledge about the news, services, programs, grants and assistance available within the sector. People diagnosed with dementia are specified as a special needs group in the Commonwealth HACC Program’s population target group. Under this program carers are also provided with services to assist them in their caring role. The Dementia Care Education Service Education and Training develops and delivers, in consultation and collaboration with service providers, information and education sessions to carers of people with dementia who reside within the Northern Rivers to reduce early or unnecessary admission into residential care. The Social Futures Ageing and Disability Sector Support Project works collaboratively with the community service sector to build a strong cohesive community care system. It aims to improve the capacity of the Aged and Disability Services Sector to deliver quality services that respond to client needs. Ageing and Disability Sector Support provides support to build the capacity and competency of the Commonwealth Home Support Program’s funded service providers to deliver Basic Maintenance, Support and Care Services through relevant and effective education and training and individual service support. Those services are provided timely and relevant information, advice and guidance on sectoral management, service system reforms and, where relevant, broader social policy issues. 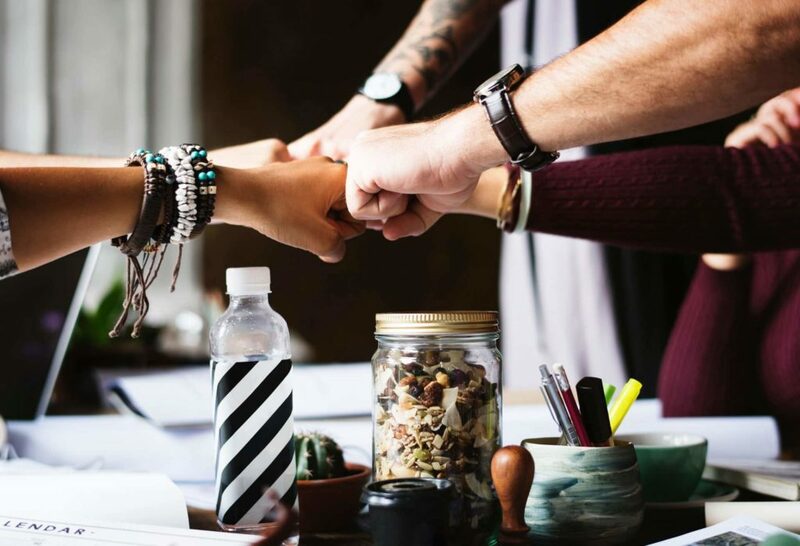 Initiate and promote co-operative collaborations and partnerships that facilitate the ongoing development of organisations funded under the Commonwealth HACC Program to be more efficient, effective, integrated and outcomes-focussed. CHSP Service Providers must deliver their first report Wellness and Reablement Report by 31 October 2018. For guidelines see Chapter 2 of the CHSP Program Manual 2018. Visit https://livestream.education.gov.au/health/5June2018/ to view the 5June webinar update on My Aged Care operations. It includes among others, information for service providers and the assessment workforce on: aged care measures in the 2018-19 budget; and changes resulting from the National Screening and Assessment Form review. From 1 July 2018, the Department of Health will undertake an internal audit of up to 10 per cent of CHSP service provider’s service delivery data on My Aged Care and the Data Exchange. The audit aims to review CHSP client pathways and determine whether services delivered are assisting clients to meet their independence and wellness goals. Can aged care clients receive CHSP services while on a Home Care Package (HCP)? To understand the differences between the programs and the circumstances under which a HCP client can access CHSP services, see the Department of Health’s Fact Sheet. After public consultation and testing, the Department of Health has released the Final draft Aged Care Quality Standards by service type. Transition to the Standards is expected from 1 July 2018, with assessment against the Standards from 1 July 2019. Providers will have a 12 month transition period to align their operations to the new standards but during which they will continue to be assessed against the current applicable standards. For an update on Aged Care quality reforms, a Department of Health webinar (and recording) is available from June 15. Content includes among other matters the Single Quality Framework and quality related announcements from the 2018-19 Budget. In August 2018, enhancements to the Data Exchange (DEX) system will come into effect. The new voluntary fields will record additional information on service delivery, service settings and attendance profiles. View the webinar to learn more about the changes. Blueknot foundation’s Talking About Trauma report calls on health and other service providers to build their capacity to talk about trauma in the non-clinical sense and play a role in supporting recovery from trauma. The Mental Health Coordinating Council’s Recovery Oriented Language Guide – 2nd edition is now available to help organisations providing recovery oriented and trauma-informed services to people affected by mental/emotional distress. Network MindOUT is a community of practice for those working with mental health and suicide prevention in the LGBTI Health Sector. NSW has an Interagency Policy of 2015: Preventing and responding to abuse of older people, requiring all government, non-government, community agencies and organisations to ensure their staff are aware and trained about elder abuse. The Model policy can be a useful guide for organisations implementing a policy. The Elder Abuse Helpline: 1800 628 221 and website elderabusehelpline.com.au/ is a free NSW government service for advice on elder abuse. Useful resources it provides include the Elder Wellbeing Checklist and Elder Abuse Toolkit. The Red Cross provides free telephone-based social support services to older people in the Northern Rivers region. Telecross provides daily telephone call to check on a person’s wellbeing and Telechat is a social chat service. To access the service or to volunteer, call Bernadette Daley (Telecross) on 0429 305 692 or Julie Davis (Telechat) on 0417 655 470. The North Coast Primary Health Network has released free Dementia Toolkits to support people with dementia, their families and carers. They are available for Tweed, Northern Rivers, Mid North Coast, Clarence Valley and Hastings Macleay. The CHSP flexibility provision (See Chapter 6 of the CHSP Program Manual 2018) allows service providers to deliver the services they are funded for and comply with their CHSP Grant agreement contract whilst also responding to short-term changes in the demand for services. A Telehealth program running at Grafton Base Hospital aims to reduce hospital admissions and improve care for older people in Residential Aged Care Facilities (RACFs). The Better Chances Forum was held at Lennox Head Community and Cultural Centre on 15 September 2016. The forum focused on prevention and early intervention, and working together to support better chances for children and young people in the Northern Rivers. It was hosted by the Northern Rivers Social Change Collaboration (previously known as the Northern Rivers Regional Social Plan Implementation Group) and the Far North Coast Family Referral Service (FRS). 180 people attended including workers from community, health, education and government organisations across the Northern Rivers. The Better Chances Forum Steering Group is now developing a work plan to help shape our collective work on improving outcomes for children and young people in Northern Rivers. If you would like to stay informed or get involved in this work please contact [email protected] or 0438 005 798. Download the Better Chances Forum Program 2016 for information about the sessions and presenter Bios. Click the playlist below to listen to the presenters from the Better Chances Forum. The presentation, ‘Creating Community Post-Disaster’, was flagged by Accessible Arts NSW as one of its three top picks for Artstate 2018. Mike and Mat were also the only artists with intellectual disability chosen to present at this year’s conference. Join Story Circle authors and facilitators in celebrating the launch of a book of suicide recovery stories, on Wednesday 28 November, 2-4pm at the Lismore Art Gallery. A FREE hard copy is available for the first 80 organisations and mental health professionals who attend. 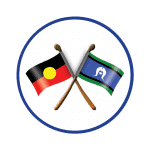 Bundjalung Tribal Society will be holding a community day at Namabunda Farm, Whites Lane, Alstonville on Saturday 24 November 2018. Northern Rivers Community Legal Centre will be running Child Protection Early Referral to Legal Advice sessions during the parenting festival in Grafton (28 November) and Yamba (26 November). Lismore City Council is running two events utilising green spaces and their impact on improving mental health: Lismore Botanic Gardens on Tuesday 20 November and Nightcap National Park on Tuesday 27 November 2018. Could the latest from neuroscience give you the edge with managing yourself and senior team? Find out at a Pro Bono Australia webinar on Thursday 15 November 2018, 2pm-3pm (AEDT).